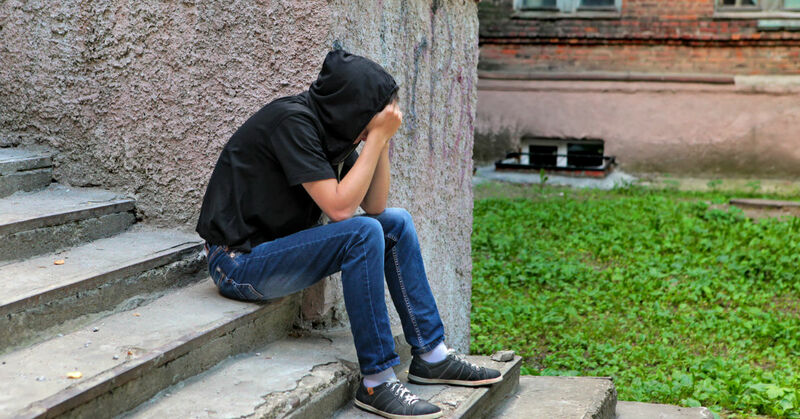 If your son is exhibiting extreme behavioral issues and you are worried that he is heading down a road that could lead to permanent consequences, a full time therapeutic setting for troubled teens can help you. A residential boarding school will be dedicated to helping boys identify the root of their issues and learn to manage them for a more successful healing process. A residential boarding program is ideal for offering the peace and outdoor recreational opportunities that are so effective for treating troubled boys. They are committed to providing a well-rounded experience in order to give their students the best chance for long term success. Why They May Need A School For Troubled Teens? Schools for troubled teens are devoted to helping youths from throughout the country overcome their challenges and move confidently forward into healthy and productive adulthood. Although many teens experience similar behavioral concerns like depression, defiance, anxiety, substance abuse and mental and developmental issues, there is no one-size-fits-all approach to healing. Treatment programs within these institutions strive to offer each student the personal care they need in order to turn their life around and make positive, long term changes. While most boarding schools choose to implement behavior modification therapy techniques in their program, a deeper look may be required in order to truly help your teen gain the skills they need for success. Rather than simply teaching them to manage the symptoms, many of these programs use relationship based program that encourage them to identify the root of their issues and heal from the inside out. Troubled teens need therapy, consistency and support, and a therapeutic boarding school is a place where they can thrive. “The skills I have learned have been invaluable to me and our family. Thank you for all the insight and support!” – Paul T. TX. Despite the care and dedication you have employed to help your child, some teens are simply unable to progress in their home environment. They need to be completely removed from the daily triggers and temptations that can impede healthy development. A therapeutic boarding school offers an incomparable opportunity for teens to improve their mindset, deal with the issues that lead to acting out, and develop better day to day coping skills in an environment that is safe and effective. Boarding schools for troubled teens are a particularly valuable option for parents that don’t know where else to turn. The intensive programs they provide give youths the tools they need for a more successful future. A therapeutic board school’s staff is licensed and fully qualified to provide therapeutic intervention for teens with a variety of difficulties. Through regular Group, Individual and Family therapy sessions, they provide a strength based approach to counseling. They also offer experiential options like culinary, recreation and music therapy that appeals to the hands on way that adolescents learn and develop. These life skills opportunities promote creativity, relationship building and practical problem solving skills. Your son may face challenges that are similar to their peers, but their reactions and motivation will be entirely unique. For this reason, an individual plan of care for each patient is necessary to truly delve into their problems. Upon arrival, your teen will be evaluated by a qualified therapist in order to establish a baseline for their social, emotional and medical needs. This assessment allows the staff to develop a graduated plan of care based on their distinctive set of challenges. A residential program offers a nationally accredited academic course for each boy attending it. Through the guidance and tutoring of licensed instructors, students are able to move forward at their own pace and keep up with their class at home or make up for lost time. By learning how to budget time and study effectively, they develop essential skills for a balanced life. In a program, parents play a large part in their child’s healing process. Regular involvement will give your teen the best chance of maintaining their hard work. On-campus visits are always an option, with regular video conferencing for those parents located out of state. Unlike now defunct bootcamps and wilderness programs for troubled teens, regular parental participation is encouraged and required in order to help each teen succeed. Schools for troubled boys are devoted to helping struggling youths, regardless of the challenges they face, and have developed a reputation based on positive and consistent results. Teenagers and their families that seek peace of mind and a safe haven for their troubled children are welcome. Utah has the most comprehensive laws governing troubled teen schools programs in the nation, and you can be assured that the goal of every program is to exceed the already stringent requirements regarding the safety, accreditation and education of your teen. Another benefit of a full time school for troubled teens that is often overlooked by parents is the opportunity it offers them for their own respite and recovery. Along with access to professionals that will help guide you along a healthier path with your child, you can also rest easier and emotionally regroup, knowing that they are in safe and experienced hands. Dealing with a defiant or troubled son can sap you of your strength and energy and both are necessary in order to help support their changes once they return home. Few embark into parenthood assuming that they will one day have to send their child away because of extreme behavioral issues; however, solutions like a therapeutic boarding school offer a valuable partnership for parents that want the best for their child, but are out of options. Studies have been done on the effectiveness of residential treatment centers and therapeutic environments on adolescents a number of times. In those studies, they have found marked benefits such as higher success rates for longer programs (up to 12 months). Another found that long term psychological care showed an improvement for both parents and teens involved in programs, as reported by the patient and their family members themselves. Therapeutic boarding schools provide treatment on a psychological level, and a behavior level, placing them within the purview of both studies. Many insurance plans will cover part of a therapeutic boarding school when the teen in question has received medical treatment for certain conditions and behaviors. Your own insurance plan may very. Any school you apply to will be able to run your insurance to find the percentage covered under your policy. While this will only offset the cost of treatment, payment plans can be made to handle tuition, counselling and other financial matters during their stay. It may also be possible to run the program as a partial hospital program, which under some insurance plans may cover more. The regulations differ state to state in how therapeutic boarding schools can be run. In some areas, it is legal for an adolescent to sign themselves out of a residential treatment center, including a school, and leave the campus without alerting the parents. Because of this, you have to carefully consider what institution is best for your son and their situation. Finding a local school can be difficult, both because of these laws, and due to the individual needs of your child. It may be necessary to allow your teen to attend a school out of state, which limits visitation opportunities. In such cases, video chats and regular communication are scheduled to allow you time to speak to your teen. Who Is Looking After Your Troubled Teen While They’re In A School? You may be worried about the level of supervision of your teen while away at a boarding school. Given the nature of their struggles, having a close eye on them could be very important. At these institutions there is a wide range of staff available. This includes teachers, administrators, security, counselors, doctors, activity directors, and others. Your son will be monitored, as well as cared for by warm, knowledgeable, kind staff with years of experience working with troubled youths. Depending on the style of school, more supervision may be required that with others. There are some programs which allow greater leeway in order to teach the student to be responsible for themselves, and for their peers also in the program. Others have a strict structure to give those with greater need a framework in which to grow without room to act out. Boarding schools are classified as either private schools, or residential treatment centers depending on the focus of their program. Each state has its own regulations regarding these institutions, but all must follow by certain rules. For example, any boarding school must provide adequate staff to manage a good balance between students and teachers. The condition of the school itself must be well maintained and safe. Adequate food, water, shelter, and medical attention must be provided. Other policies, such as curriculum and standards for education and therapy, differ wildly from location to location. You can see more about these policies here.